I have been putting off this post as this is going to be my first interview on this blog and I am a bit nervous.I have now decided to grab the bull by the horns and Go Fot It! 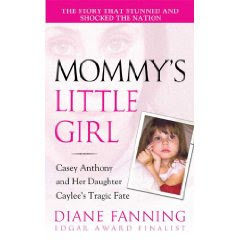 Diane Fanning has agreed to answer any questions we might have on her new book Mommy's Little Girl which is about the Caysee/Caylee Anthony case.If you have any questions please post a comment with your question so I can forward all the questions to her.Please leave a bloglink if you have one as the post(final interview) format will be along the lines of So and So from "bloglink" had this question.I will also be posting my question under the comments so its easier for me to put all the questions together to send the final list of questions to Diane Fanning. This is the editorial review from Amazon on this book Mommy's Little Girl by Diane Fanning which is due out in November 2009. When news broke of three-year-old Caylee Anthony’s disappearance from her home in Florida in July 2008, there was a huge outpouring of sympathy across the nation. The search for Caylee made front-page headlines. But there was one huge question mark hanging over the case: the girl’s mother. As the investigation continued and suspicions mounted, Casey became the prime suspect. In October, based on new evidence against Casey—her erratic behavior and lies, her car that showed signs of human decomposition—a grand jury indicted the young single mother. Then, two months later, police found Caylee’s remains a quarter of a mile away from the Anthony home. Casey pled not guilty to charges of murder in the first degree, and she continues to protest her innocence. Did she or didn’t she kill Caylee? This is the story of one of the most shocking, confusing, and horrific crimes in modern American history. Phew!! That's done! I cannot wait to see what questions you guys have! 1. Did the Anthony family or anyone connected to them or Casey hire you to write this book? 2. Who profits from the sale of this book? 3. Where did you get the information that you used to write the story--interviews with family and friends, already released discovery, the media? 4. Why did you write the book now rather than wait until there was a trial and a verdict? Why write this book BEFORE the trial? This case has been so extensively covered on t.v. and the Internet, I don't know what new information you would have about it. And who is going to profit from the sales? Certainly hope it's NOT an Anthony! Hi! I would like to know if there will be a sequel to this book as the trial has not even started,and there are many, many things that have not been made public. Things like why Dominic Casey's full interview that gives away defense secrets. I'm sure these kinds of things will come out in trial, but are not public. I would think that everything would have to come out to have the whole story. Was it difficult for you to write this true story about the murder of a child? By that I mean, for instance, were you able to keep your feelings from showing in the pages of this book? How solid was the evidence used to find the mother guilty - in your opinion..
1- Did you get an interview with any of the Anthonys? 2- Do you have any idea why this case was more publicized than any other has been? 3- It seems that there should be some kind of law against all the media attention this case got before the trial. Is there? 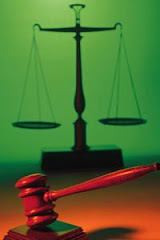 4- Was this book hard to write not knowing the outcome of the trial? 1) Were you able to interview anyone in the Anthony famiy? If so, who? 2) Why do you think the Anthony case has gotten more media coverage and publicity than any other cases ever have? 3) Isn't there some kind of law that should have prevented all this information from being broadcasted to the public? I meant there was just so much of it. It never seems to stop. It seems to be on tv every time one of them goes to the bathroom.